That’s stating the obvious. If you’re trying to start your own business or make some money with a side gig, you know that getting a website up and running is essential. So what’s slowing you down? Getting online is easy. You don’t have to be a professional web designer to register a domain name and create a website. There was a time when you needed to know HTML and CSS and DNS and all that stuff, but those days are gone. 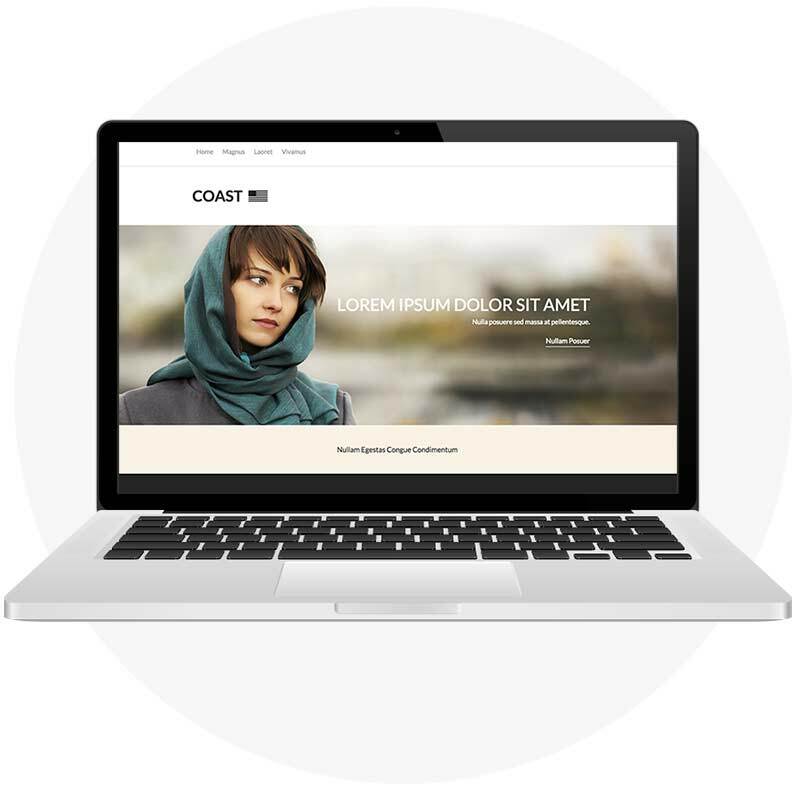 Getting online has never been simpler, and there are several tools and solutions for creating a great-looking website entirely on your own, and without dropping a fortune to make it happen. All you need is a little DIY spirit. In this guide we’ll show you everything you need to know about registering a domain name, getting your website online, and getting traffic to your site. We’ll also give you some useful tips on security, content, and branding. You already have some great ideas in your head for your website, but you’ve convinced yourself you don’t have the skill set to pull it off. It’s time to start thinking otherwise. Part 2: How are you going to build your site? Think of it less as picking a domain name and more about answering the question, “Who are you?” What would you like people to know about you in the shortest time possible? Your domain name is the first thing they’ll notice about your online presence. It’s what they’ll type into the address bar or see in their search results. You want to make a great first impression. Here’s how. Above all else, you want a domain that’s short and memorable. The fewer words and characters someone has to type, the easier it will be to remember. Don’t settle for hyphens or misspellings. Remember when Facebook was “TheFacebook?” Remove the clutter and get right to the point! A domain name is the best marketing tool money can buy if you can get it right, so focus on a domain name that you can say once in conversation and people will remember it instantly. Geographic: Country-specific domain extensions have been around for a while, but the New Domains have introduced cities into the mix. You can make your website even more local with a domain like .nyc or .tokyo. Profession/product: These domains instantly communicate the products and services you offer, like .photography, .pub, or .lawyer. Off beat and novelty domains: These are great for personal or hobby-focused websites. You have options like .ninja, .rocks, and .guru. How are you going to build your site? Now that you’ve got a domain name you’re ready to plan and build your site. This doesn’t have to be intimidating—there are several options available that will give you a great-looking site, regardless of your skill level with hosting and coding and DNS and all that stuff. We’ve identified two options that are perfect for creating your first site. Website builders, like the Name.com website builder or Squarespace, give you the freedom to drag and drop content on your site however you choose. You arrange your text, photos, videos, and other content with a simple editor, and can publish and republish your site until it’s just right. What makes a website builder great is that while you have lots of freedom with adding content, the design choices guarantee that you’ll have a site that looks like it was built by a web agency. Name.com’s website builder designs are mobile-friendly, so they’ll look great on any screen, whether it’s a desktop, laptop, tablet, or smartphone. You’re not totally locked in to the design, as you can still change the color scheme and font selection, but there are enough constraints in place to hold the design together and keep your site looking great. A website builder is very much self-contained—everything you need to make a great site is right there in the editing interface. Website builder plans are scalable, so you only pay for the options you need. There are basic plans that are great for a 1-10 page site, with options like menu-building tools and blogging tools. As your site grows and you look into other features like social media integration and ecommerce, or you simply need more pages and file storage, you can easily upgrade your plan. If you’re interested in Name.com’s Website builder, head over to name.com/website-builder. You can even try it for free for 14 days. WordPress is also a great choice for your website. WordPress can be installed on your domain with a single click, and unlike a website builder, there are no tiered plans—you get everything all at once. You can purchase premium templates or plug-ins (we’ll get to those in a second) separately, but there’s essentially no limit on the size of your site. 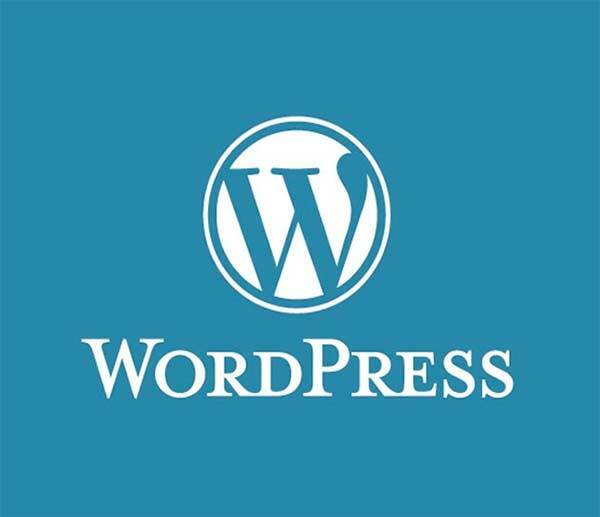 WordPress is also the standard for blogging platforms. The best (and sometimes worst) part about building a WordPress website is freedom. Unlike with a website builder, you can find new themes and plug-ins for your WordPress site from countless third party websites all over the internet. The upside is that if you’re willing to search and dig and experiment, you can find some awesome choices for the look and functionality of your website. The downside is stability—many themes and plug-ins can be incompatible, and that can cause some unexpected and annoying bugs to pop up. WordPress is also, to put it simply, a little more difficult to use. It’s by no means as difficult as coding a site from scratch, but it definitely takes a bit of work to get the hang of compared to a website builder. Think a WordPress website is right for you? Go to name.com/wordpress-hosting to learn more. Plug-ins are downloadable tools that you can install on your WordPress website to add new features. Some are used to improve the functionality of your site, like social media sharing buttons or newsletter signup forms. Others can be useful for managing your site behind the scenes, like Search Engine Optimization and content management tools. This isn’t necessarily the fun part of building a website, but it is a super important part. You should take care to protect your site, not only for your own good, but for the well-being of your visitors (or customers). The last thing you need is for your site to be compromised, and if you’re running an online store, you absolutely need to take the necessary measures to protect your customers’ sensitive information. There’s too much that goes into website security to cover it all at once, but we can offer a few simple suggestions. That means never using “password,” or your last name, or your dog’s name for a password. But it doesn’t have to be overly complex, either. The best password is one that’s easy for you to remember, but difficult for someone else to ever guess. So instead of coming up with a bunch of random characters that you’ll never remember, create passphrases. It could be just a collection of random words lumped together (zerocarpetchimpsbaseball), or a short, funny sentence (Heowns3ferrets!). An SSL Certificate encrypts the data that is sent between your hosting server (you) and internet browsers (your website visitors). 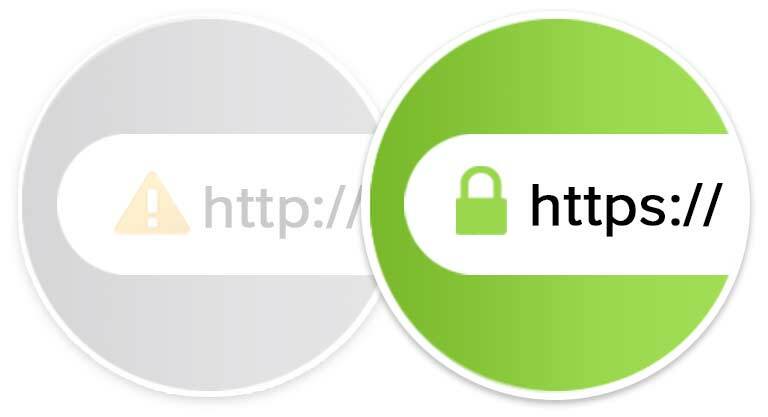 The most basic SSL Certificates add an “https://” to your site’s URL (as opposed to just “http://”), and also add a small lock icon in the address bar. More advanced SSL Certificates come with added features like a green address bar and extended validation requirements, which are then displayed in a user’s browser when they visit your site. Even if you’re just building a simple portfolio or blog, it’s still a good idea to install an SSL Certificate. It shows your visitors that your site is trustworthy, and it’s even beginning to have an effect on search rankings. Google recently announced that it is starting to prioritize security in its search rankings, and that may mean more traffic for you. If you’re interested in adding an SSL Certificate to your site, visit name.com/ssl. Two-step authentication adds an extra layer of protection when you’re logging in to your domain registrar account or website builder. 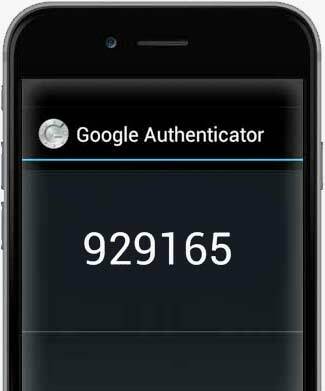 Along with a standard username and password, you can use your smartphone to create a unique extra passcode that is only valid for a short period of time. This way, no one will be able to log in to your account unless they have physical access to your smartphone. OK, so this is what will keep people coming back to your site. You can design a site that looks nice and pretty, and you can keep your site secure, but that’s not enough. Good branding and content drives traffic. The good news is that great content and great branding go hand-in-hand. You don’t need to spend a bunch of money to have someone design an attractive logo and color palette for your site. You can build your brand simply by having a reputation for producing meaningful, worthwhile content for your site visitors. Perhaps best of all, Google favors organic, informative content of authority on a subject. Focusing on quality content is a win/win for your customers and for your site’s search rankings. What is your expertise? What is the focus of your website, your business and/or service? Your goal should be to create content that is authoritative in voice and relevant to your site’s visitors. If your website is focused on a particular hobby, idea, business, product, etc., keep your focus on it. Create easy-to-consume information like memes, blogs, infographics, videos, emails, social media posts, slideshows, presentations, e-books and other free multimedia that readers will want to share. You registered the perfect domain name. You built a great website. You dedicated a ton of time and effort into making your website idea a reality. So why would you keep using an @gmail.com or @aol.com email address? Instead of using one of those generic free webmail addresses, create custom email addresses with your domain name, like hello@yourdomain.com or firstname@yourdomain.ninja. Custom email addresses are more memorable, have more personality, and add your own unique website branding to every message you send. People will see your domain name every time they send or receive an email from you. It’s obvious that you want people to visit your site. More traffic means more credibility and more conversions. It’s how you drive traffic that can get tricky. By leveraging search engines, social media, and email, you can grow traffic in clever ways. We’ve identified two particularly effective channels that will help you drive traffic without emptying your pockets. You’re probably already using social media networks like Facebook and Twitter, so you have an existing audience that you can reach out to when you’re promoting your site. Social media is one of the best ways to grow your base, because when you engage with customers (or potential customers) you’re building a relationship. Social media is a place to demonstrate your brand value and grow your brand. If you can convince people who are engaging with your brand on social media to share your posts, they’re spending their social capital to promote your brand to their friends. Each network is a little different. But here are a few tips for Facebook and Twitter, where you’re likely to get the best response. Use images when you post. Research has shown that colorful photos with people—rather than just a still shot of a product—tend to be the most successful. Create compelling headlines. Try to give just the right amount of information without saying too much. Give the user a reason to click on the link and find out the rest of the story. Join the conversation. People are on Facebook for the same reason you are: to share what interests them and receive feedback. When you pay attention to individuals and online communities, you’re doing the marketing work you once had to pay for. Offer exclusive deals to Facebook fans. People have taken the time to be a part of your community, so reward them with information and promotions. They are likely to even share and grow your Facebook base. Get your content out there. This goes for any social media, but posting little word blurbs won’t maintain engagement. Add your photos, memes, videos, blog posts, good deeds, and even compelling office activity. See how you are doing. Facebook offers statistics for their business pages and they are a great tool to see what’s working and what might need to be improved. Find your customers. Use Twitter search or applications like Tweetdeck to find out who’s talking about your industry. Share your expertise. Give people a reason to follow and share your business and ideas by posting helpful tips based on your experience and knowledge. Carve out your niche. Like any successful brand, people come back to a place when they know what they’re going to get. Build a Twitter audience by being consistent, helpful, and attentive within your specific community. Stay up on the medium. Social platforms are constantly improving for their growing audience. For example, Twitter Cards are free in the advertising area of your Twitter account. Turn local events into global conversation. Being at an event makes it easy to create great content for Twitter or Facebook. It also second being that when you’re on location and supporting an event, you’re creating the engagement that (especially on Twitter) can be easily shared, mentioned and retweeted by those in attendance. Converse. When a colleague, potential client, or business partner says something as inane as “It’s a great day in Burbank! How are things where you are?” They’ll love you forever if you just give a response. Of course it’s even more important to answer business/service-related questions and queries, but the Internet has become a conversation and Twitter is a great way to drive it. Email is an extremely effective way to drive traffic, because if you’re doing it right the people you’re sending emails to are already interested in your blog or website. They’ve signed up for your newsletter or they’ve bought your products, so they’re more likely to respond compared to people who have no existing relationship or experience with your site. If you’re running an online business, give users the opportunity to subscribe to your email list when they’re completing a purchase. You can also allow users the to subscribe to your emails using a form on your website. You’ll get more people to sign up if you offer an enticing reason to subscribe, such as exclusive discounts. Definitely DON’T purchase a list, or just start emailing your Facebook friends and Gmail contacts. That’s an easy way to have your email marketing account shut down for spamming. You need to have permission—a subscriber has to either opt-in to your emails or have recently purchased your products and services. If you want to send marketing emails to your existing contacts, send personal emails and request permission—they’ll probably say yes! There are a ton of email marketing services available, and most offer free trials or even free accounts if your subscriber count and send volume is low enough. Create a few free accounts with services like MailChimp, Constant Contact, and Campaign Monitor, and see which would work best for you. Each service has its strengths and weaknesses, with varying options for email templates, subscription form plug-ins, list management, and more. This is online wizardry at its best. Let’s say you have a Facebook page that your customers are interested in. Sure, you’ll get a professional website one day, but to start, get a domain name—like www.YourBusiness.Rocks—and forward it to your Facebook page. It’s a win/win. You get a memorable marketing tool to send people to your successful web page, and now instead of www.Facebook.com/2343k4j2l34jlj4lkjlj, it’s www.YourBusiness.Rocks. So you have www.YourBusiness.Rocks and you’ve built a website. To give each and every one of your employees another competitive advantage, you can forward subdomains to individual pages. For example, your sales leader Bob can now have Bob.YourBusiness.Rocks. Along the lines of looking like a pro on a budget, you can hide your old Yahoo, Gmail, or even AOL email address by creating a forwarding email address. For example, you can create Owner@YourBusiness.Rocks, and any email sent to that address will be forwarded to your existing email account. People will see a much more memorable (and polished) email address. Most email services (like Gmail) even offer the ability to change your reply email to Owner@YourBusiness.Rocks, so the people you email will only see the Owner@YourBusiness.Rocks address, rather that the Gmail/Yahoo/etc. account you’re actually using. You don’t need to be an expert to build a website. You just need the right tools for the job and a good plan. Get out there, register your domain name, and then start building. And if you’re looking for a place to get started, well ... we recommend Name.com. 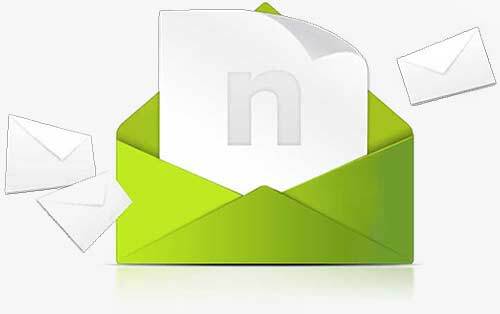 We’re happy to help you get started, and you can email us at support@name.com or call +1.720.249.2374 if you have any questions.